If you’re used to an America that has allies in Europe, Canada, and Mexico, and takes a hard line on nations run by brutal dictators, you must feel like you’ve entered some form of “bizarro world.” After all, our president seems to be more interested in forming relationships with the likes of Kim Jong-un and Vladimir Putin than in maintaining and strengthening the alliances that have been in place at least since World War II. 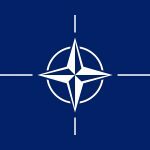 The North Atlantic Treaty Organization, known more commonly as NATO, was created in 1949 by the United States, Canada, and several Western European countries to provide mutual security against the Soviet Union. NATO provided support for the Berlin Airlift, which provided support to West Berlin when Soviet premier Josef Stalin blockaded the city to prevent supplies from entering and leaving. NATO countries worked together to integrate and coordinate their defense forces during the Korean War. Although NATO was formed in response to the Cold War, it has lasted much longer than the Soviet Union. Its membership now even includes some former Soviet states. It is the largest peacetime military alliance in the world. So far, President Trump has fulfilled all his campaign promises when it comes to “building relationships” with nations that have previously been at opposition with the United States. After all, the meeting between the president and Kim Jong-Un is going to happen. Or it isn’t. Or it is. 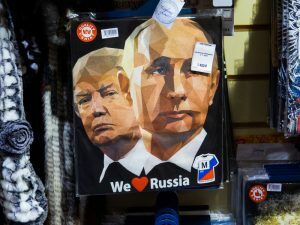 We all know how the president has embraced Putin—probably because Putin knows that flattering President Trump’s ego is the best way to ingratiate himself with our nation’s commander-in-chief. The relationship between the president and Putin is probably aided by the fact that President Trump and his corporations owe a lot of money to Russian banks since his lack of creditworthiness after several bankruptcies made him a bad risk for American banks. But the president has been embracing and admiring an assortment of other brutal autocrats and strongmen including Philippine president Rodrigo Duterte, China’s Xi Jinping, Turkish President Recep Tayyip Erdogan, Saudi Arabia’s Mohammed bin Salman, and even … notorious Iraqi dictator Saddam Hussein. Yeah, that Saddam Hussein. The one the U.S. has been waging war on since 1990. Meanwhile, President Trump has been breaking with many of America’s traditional allies. He criticized NATO as being “obsolete” and that it “cost us a fortune,” and even refused to endorse Article 5, the guarantee of mutual defense, at a 2017 NATO summit. During his campaign—and his presidency—he has praised anti-EU insurgents, said the EU is destined to break up, and that he really doesn’t care what happens to the EU. He pulled out of the Paris Climate Agreement. He praised the Brexit vote. And now the president has begun a trade war with Canada, Europe, and Mexico by imposing steep tariffs on steel and aluminum, ostensibly because of national security concerns. The nations on the receiving end of the Trump tariffs plan to place their own tariffs on American products. Likewise, China has also promised to retaliate against Trump’s tariffs. Six of the seven members of the G7, an informal bloc of the world’s most powerful industrial countries, condemned the seventh—that would be the U.S., by the way—and asked Treasury Secretary Steven Mnuchin to tell President Trump about their “unanimous concern and disappointment” about his decision. The question we all need to ask ourselves is, “Why is President Trump cozying up with dictators and scuttling relationships with nations that have traditionally been our allies?” The answer to that question remains to be seen.